Boring Logs. Cross Sections. Environmental Figures. 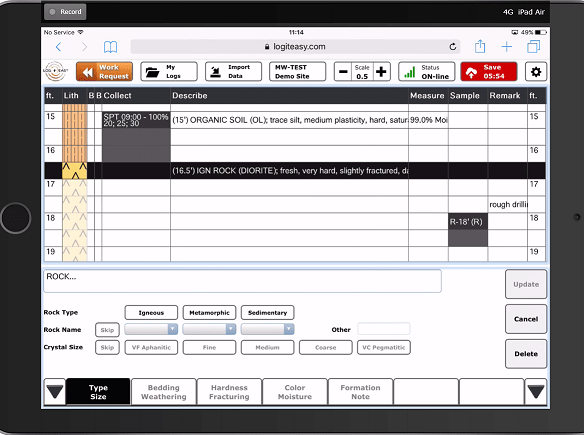 LogitEasy provides boring log software online and boring log drafting services to geotechnical engineering and environmental consulting companies. 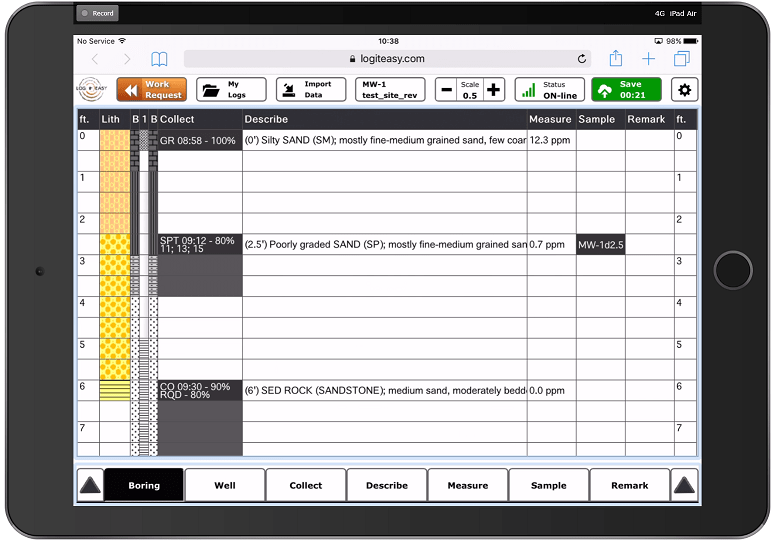 LogitEasy's web-based boring log software (called the LogitEasy eForm) is usable both in the field for logging soil borings and in the office for transferring field notes. Once the data is entered into the software, logs can be produced in a variety of templates, including LogitEasy, gINT, LogPlot, and other. Digital data files can also be downloaded from the software for use in other boring log programs. Logiteasy's boring log software is available in Free and Premium (pay-as-you-go and pre-paid log block) versions. 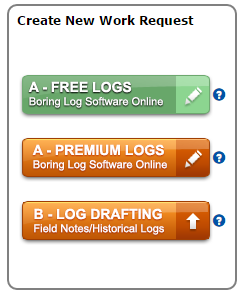 LogitEasy's boring log drafting services convert handwritten field notes or historic logs into gINT, LogPlot, or custom template logs. Drafting services are available on standard and rush turnaround times, and are priced on a pay-as-you-go basis. 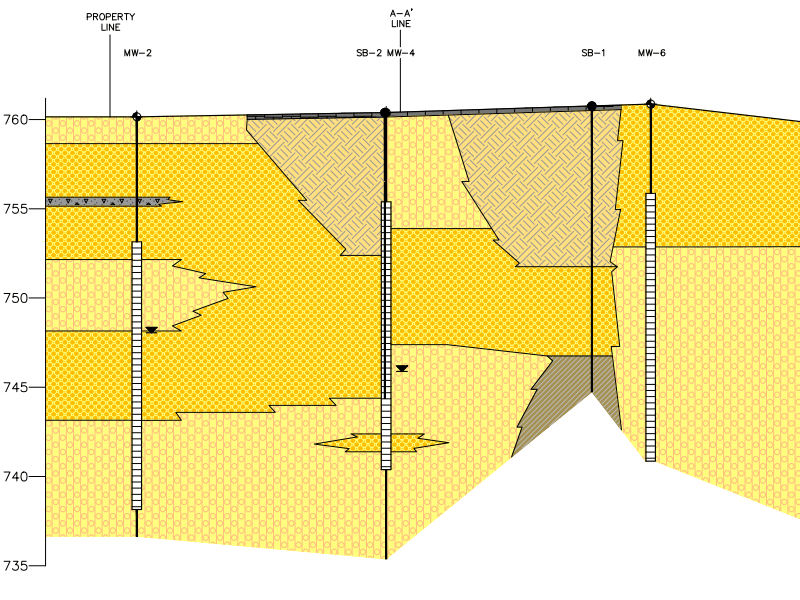 We also offer geologic cross sections and environmental figures on similar terms. 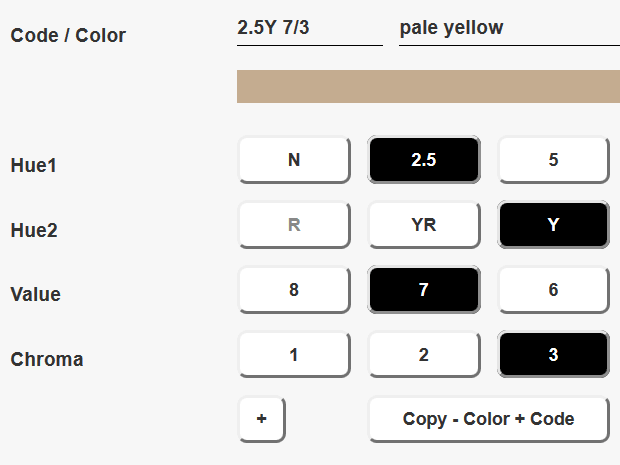 The LogitEasy eForm looks like a traditional paper field logging form, but does more than paper because it is electronic (web-based). It serves as the user interface for data entry in the field and office, and can even be used offline. Its unique layout and features were designed by geoconsultants so that it would be intuitive and easy to learn, and faciliate fast and consistent data entry. To get started, TRY DEMO today! 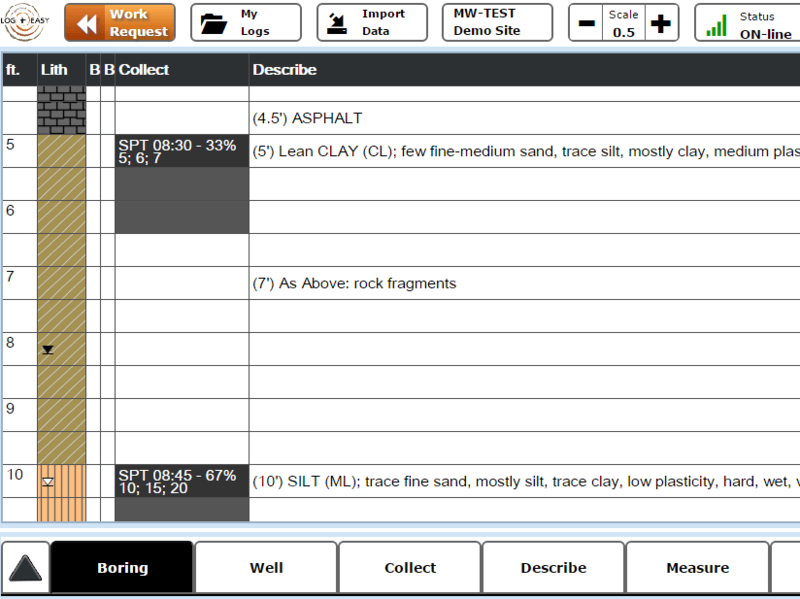 LogitEasy’s Free Logs service includes use of the LogitEasy eForm for data entry and a choice of LogitEasy Environmental or Geotechnical boring or well log templates. To get started, Sign Up free today! LogitEasy's Premium Logs service offers more advanced logging functionality on the eForm than Free Logs and a greater selection of templates including gINT, LogPlot, and other formats. If you are using other third-party boring log software and would like to integrate a field logging solution, contact us about a digital data export format that meets your requirements. Premium Logs are available on pay-as-you-go and pre-paid terms, and there are no license, support, maintenance, or version upgrade costs. To get started, Sign Up free today! 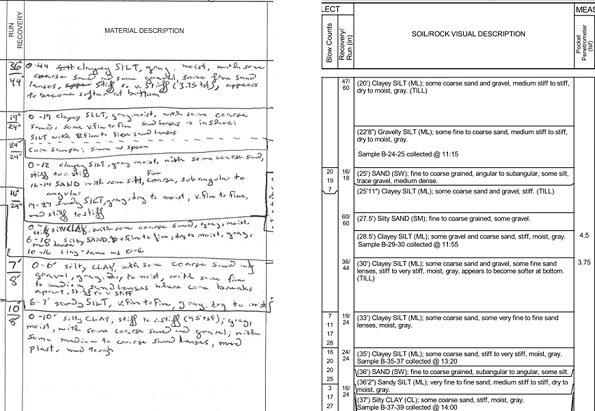 In addition to our online boring log services, LogitEasy also provides Log Drafting services from field notes and historical logs in standard gINT and LogPlot log templates, plus custom templates. Log Drafting services deliver a PDF log, data file, and legend on standard 7-day and express 3-day turnaround times and are priced on a Pay-As-You-Go, fixed-fee basis. 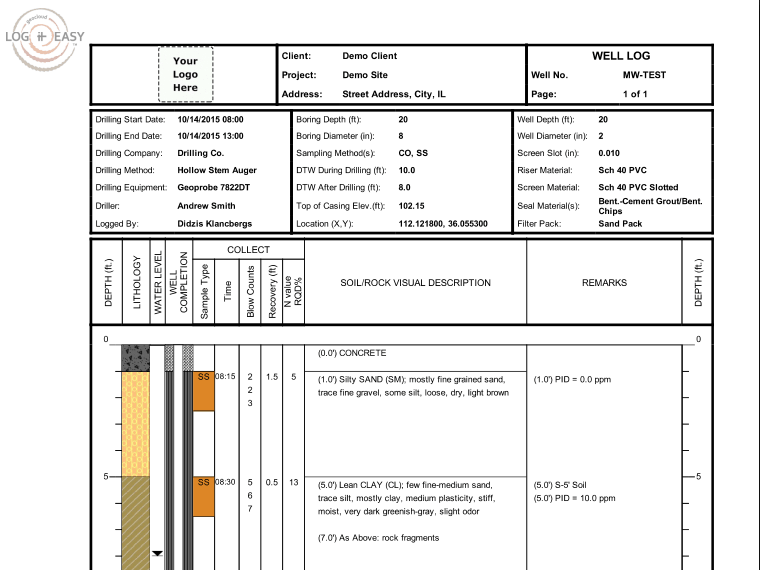 The cost of Log Drafting services is not dependent on boring/well depth and includes corrections. To get started, Sign Up free today! Please contact us if you have any questions about our standard services, would like to discuss a custom solution, or just have a particular logging or log preparation challenge. To start using our AutoCAD drafting services and also get access to our boring log services, Sign Up today! Our clients appreciate our flexible service delivery and willingness to customize our standard solutions to meet their needs. We, in turn, appreciate the feedback our clients provide as it drives our continual improvement process. 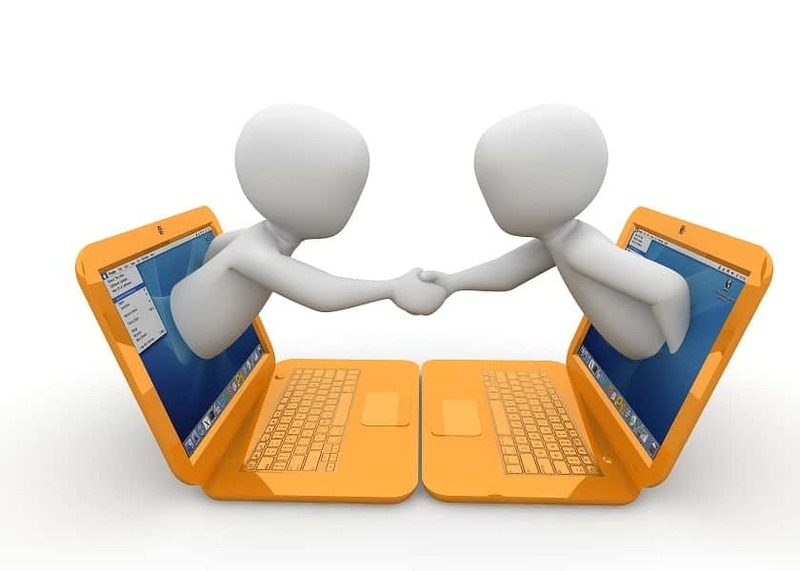 We bring additional value to our clients by identifying partners with which to integrate our services into a broader offering.